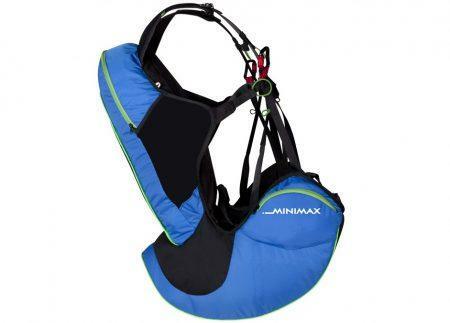 A complete light and compact tandem harness. Airbag + mini Bump, wide seating plate. The Supair Evasion 2 offer a reserve parachute handle positioned right or left, standard upright seating posture and an Excellent passive safety. – Airbag beneath the seat. 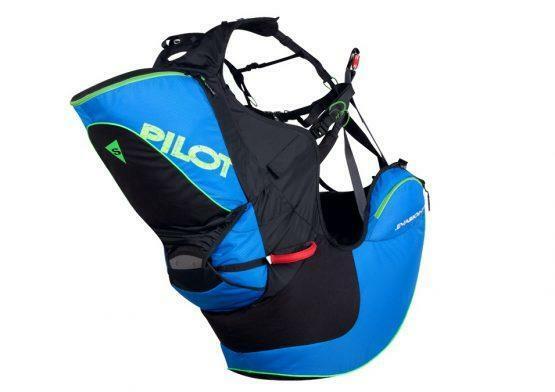 – Mini Bump protection between the pilot’s back and the parachute container. – Dorsal reserve parachute container with right or left reserve parachute handle locations. – 30 mm Self-locking stainless steel buckles. – Quick release buckles with Safe-T-Bar locking mechanism. – 45 mm Self-locking Biners. – Large dorsal storage pocket. – Trim buckle for chest strap adjustment. – Backrest side trim adjustment via dual alloy buckle security system. – Polyamide 420D Diamond Ripstop.